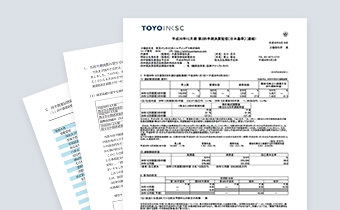 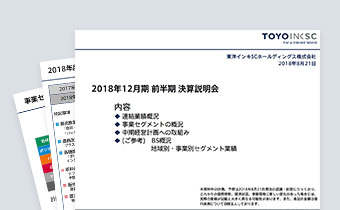 IR Archives | For Investors | TOYO INK SC HOLDINGS CO., LTD.
View our quarterly financial results. 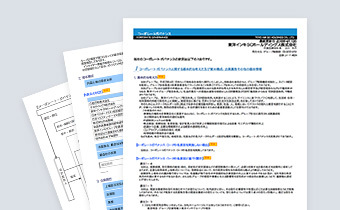 Find supplementary data for our quarterly financial results. 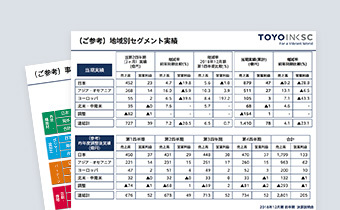 See our results presentations, which are posted twice a year. 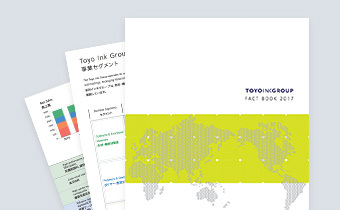 Read a report prepared by Investment Bridge Co.
Find our latest and past financial fact books. 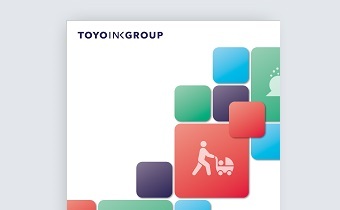 Browse our latest and past corporate governance reports. 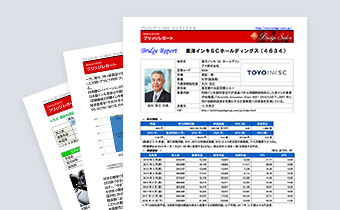 View our latest and past corporate social responsibility reports. 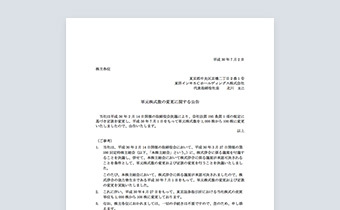 See our public notices and other documents.